You don’t have to be in Australia for Christmas on the beach. With our fame spreading worldwide – even to the Gaeltacht – TG4 arrived on Christmas Eve. Someone asked me “They just turned up? How did they know there would be people there swimming?”. I said, “There are always people swimming in Myrtleville 🙂 “. With the afterglow of further fame, it was on to Christmas Day and the usual completely understated Myrtlevillian approach to any occasion. Christmas crackers – and the guy on the left, who just looks crackers. Smile, Denis – Smile! Every artist needs a muse and Siobhan Russell has found hers in Joanne Horgan. Topping the Vampire Swim witch picture, here’s the strongest contender for the calendar cover. 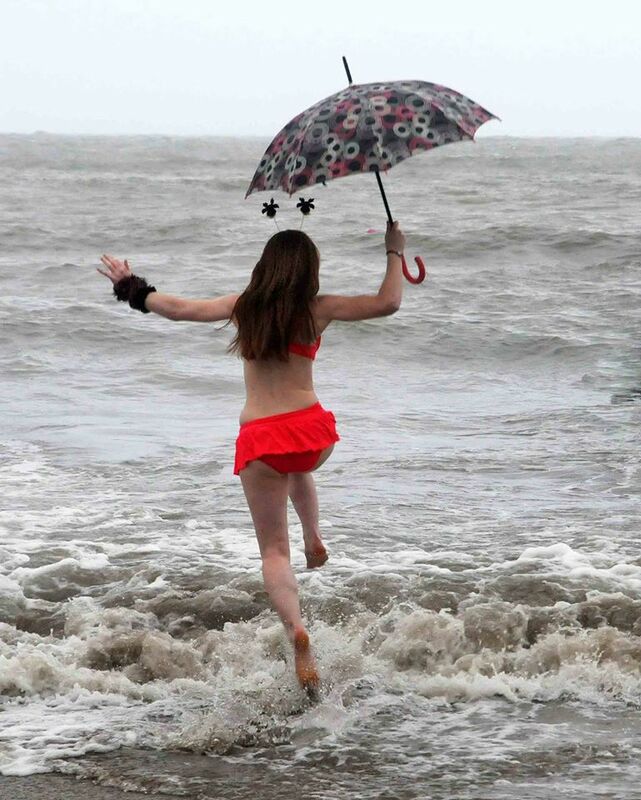 What do you wear to go swimming in the rain on Christmas Day? Red, of course – and a brolly. 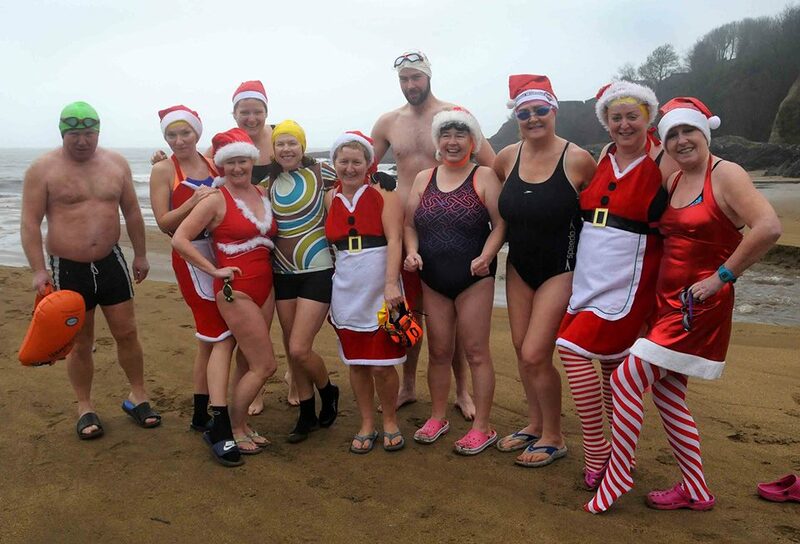 Right, time for my St. Stephen’s Day 8.15 swim. Enjoy the break, everyone, if you’re off!